The Enraged RhinoBot is a Physical type weapon that can be upgraded from the RhinoBot weapon. Digby scientists were hard at work trying to improve upon the already amazing RhinoBot when a fluke of chance led to the creation of the Enraged RhinoBot! The pure platinum cogs make it practically indestructible and a machine of pure raging power! It is hard to say whether the scientists think their masterpiece a success or a failure because since the Enraged Rhinobot has emerged from their labs, no one has been able to discover their whereabouts. The Enraged RhinoBot is not sold by any Trapsmith. It can only be crafted given the proper ingredients. 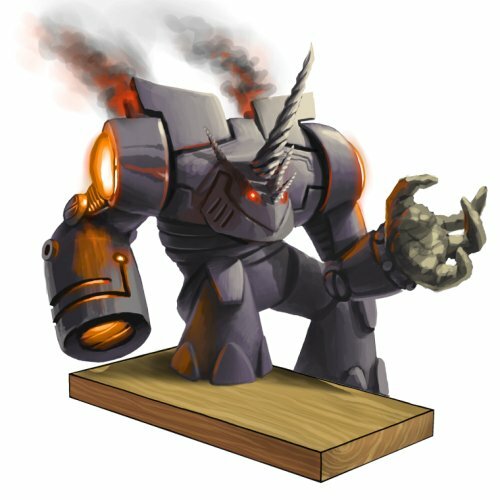 RhinoBot – Source of RhinoBot Parts for crafting the Enraged RhinoBot. 22 March 2011: The first Enraged RhinoBot was crafted. 29 July, 2015: The point requirement for the Enraged RhinoBot was lowered from 17,000,000 to 13,000,000. This page was last edited on 27 January 2019, at 01:12.